The Edelrid Starling Pro Dry is an affordable 8.2mm rope that’s certified as both a twin and half rope, making it great for anyone wanting to start double roping. As with all Edelrid’s high quality ropes, it features their Pro Dry treatment so you can use it in the Alpine, as well as Thermoshield heat treatment to ensure it handles like a dream. Thermoshield is a heat treatment that gives Edelrid ropes their great handling and smoothness. Heat treating a rope helps to shrink and harmonise all the fibres in the rope, which helps it to stay compact and easy-to-handle for the duration of its life, unlike non-heat-treated ropes, which can often suddenly become stiff and wear out more quickly. 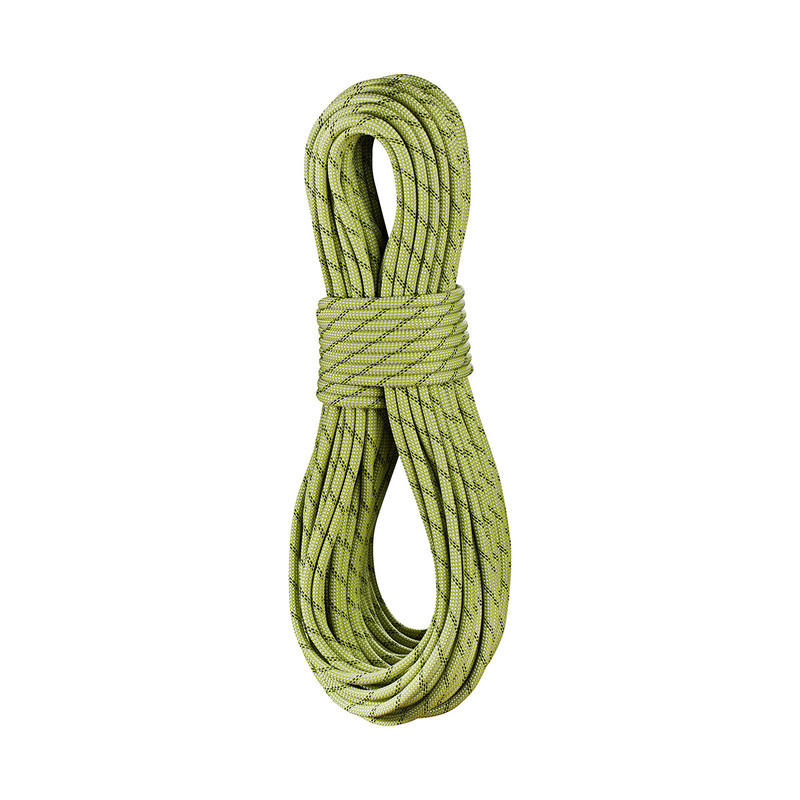 Pro Dry is Edelrid’s full-rope dry treatment, meaning that both the sheath and the core of the rope have been chemically treated to resist water, dirt and grime. While it’s not fully waterproof, Pro Dry ropes will only absorb a maximum of 2% of the rope’s weight in wet conditions, compared to the 50% of an untreated rope. SO not only does Pro Dry treatment protect your rope from the elements, it’s thermo-sealed, which makes for even better handling, durability and longevity.